rire » at the Fondation Cartier. 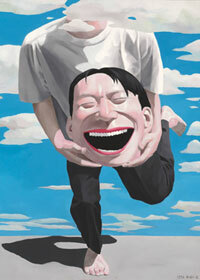 The first major exhibition devoted to the artist Yue Minjun in Europe, “L’ombre du fou rire” is a unique opportunity to discover the work of this renowned Chinese artist who’s recent celebrity status contrasts with the great discretion of his work. By revisiting the codes of the grotesque with imagery that is strong in colour and haunted with characters frozen in enigmatic laughter, his work bears an ironic and cynical take on the social and political situation of contemporary China and the human condition in the modern world. Through nearly 40 paintings from collections around the world and a multitude of drawings never before shown to the public, the exhibition reveals the complex and singular aesthetic of a work that is beyond all interpretation. « 150 Years of Gustav Klimt » at the Belvedere in Vienna. 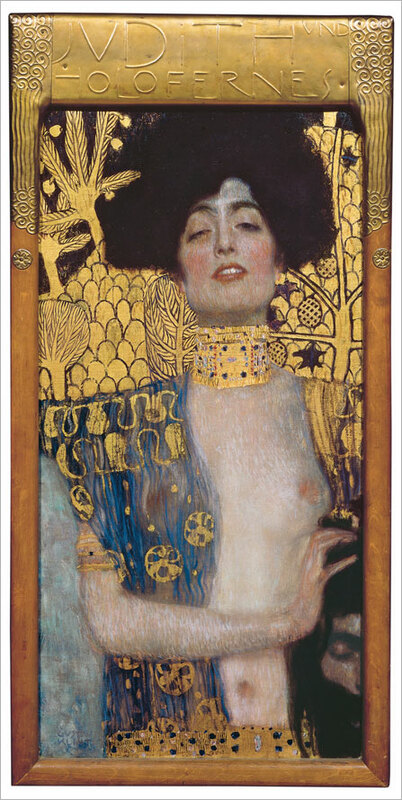 You still have a few days to see the exhibition that marks the jubilee of Gustav Klimt. The Belvedere has devoted a comprehensive retrospective to Austria’s most famous painter and pioneer of modernism. Comprising of not less than 120 pieces, including 30 paintings by Klimt and works of fellow artists such as Egon Schiele, Ernst Klimt, Franz Matsch, Oskar Kokoschka, the largest collection of works by Klimt across the world has been put together in seven thematic sections. Besides the kiss, a monumental icon, or famous masterpieces such as Judith and Salomé, a new acquisition Le Tournesol is being shown for the first time. In addition, thanks to an iPad application, visitors can benefit from a multidisciplinary approach. When approaching a painting, the application allows you to establish a link with the topography of Klimt’s travels and to discover his personal living space as well as buildings that he created the pieces for. Fascinating. 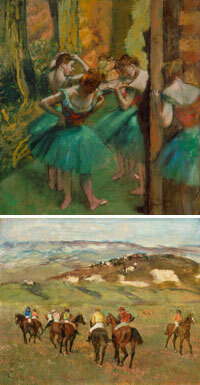 Degas at the Fondation Beyeler. Although the art of Edgar Degas enjoys great popularity, exhibitions devoted to it are generally limited to his Impressionist period or very specific aspects of his creation. In answer to this, the exhibition at the Fondation Beyeler is bringing together more than 150 pieces of his work, representing all the themes and series essential to the understanding the achievements of the last few decades of his life: dancers and female nudes, jockeys and race horses, landscapes and portraits. The exhibition takes, as its starting point, a period marked by the stylistic transformations and conceptual fundamentals of Degas’ creation. In the second half of the 1880s, the artist abandoned the precise and detailed style of painting that had been his trademark during the Impressionist period and at the same time renounced the “picturesque” themes of Parisian life and family scenes. It was then that he moved away from his Impressionist companions. 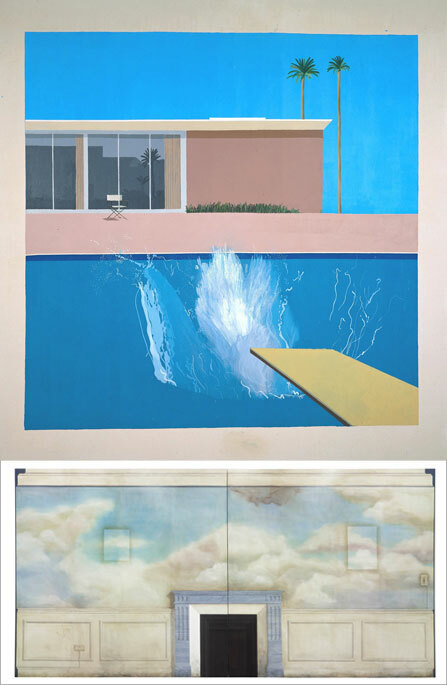 « A Bigger Splash : Painting after Performance » at the Tate Modern. The aim of this exhibition is to present a new look at the dynamic relationship between performance and painting from 1950 to the present day. Borrowing its title from a 1967 work by David Hockney, the iconic image of a Californian swimming pool, and Jack Hazan’s film about the life of Hockney, the exhibition brings together a series of key works by over 40 artists including Yves Klein, Jackson Pollock and Cindy Sherman. Moving through a half-century of painting, video and photography, alongside documents from archives and documentaries, this exhibition shows how the key period of post-war performance art challenged and stimulated the medium of painting for successive generations. 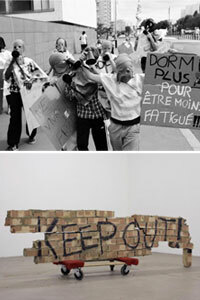 « La Estrategia » by Ivan Argote at Palais de Tokyo. A resident of Paris for the past few years, the works of Colombian artist Ivan Argote is the result of a questioning of the world, social relationships, history from his experience of the subject, and sometimes his personal history. With an ever-ambiguous tone and factuality, he views the world with a distorted reflection, highlighting his part in the absurdity, such as in his video “Rotation” where a globe is seen rotating in a rotisserie. With a group of young Colombians, Ivan Argote has reconstituted a community, inspired by the “revolutionary” groups of the 1970s in Bogota, and their vision of the world through “truths”. Together they immersed themselves in the past, to revive the spirit, passion and even the misinterpretations of the previous generation. The deferred visual archive that they put together leaves room for freedom to tweak and change the facts. Because above all it is anchored in the present, the reconstitution switches between fiction, history and reality. Until January 21, 2013. « Misia, Queen of Paris » at the Musée Bonnat du Cannet. Presented this summer at the Musée d’Orsay, the Musée Bonnat du Cannet, who co-produced the event, is reprising the exhibition “Misia, Queen of Paris.” The muse of many artists such as Pierre Bonnard, Marie Laurencin, Edouard Vuillard, and Félix Valloton, Misia Godebska was an avant-garde and sultry personality, described as a “backstreet abortionist” by Cocteau and “a woman of genius” by Coco Chanel. Married to Thadée Natanson, the director of the Revue Blanche, she was one of the most portrayed women of her time. A friend of Diaghilev, Nijinsky, and Stravinsky, she would go on to fund the Russian Ballet for more than a decade. This exhibition features portraits of Misia and her entourage, illustrating the abundance of creation at a time when Misia was the Queen of Paris. 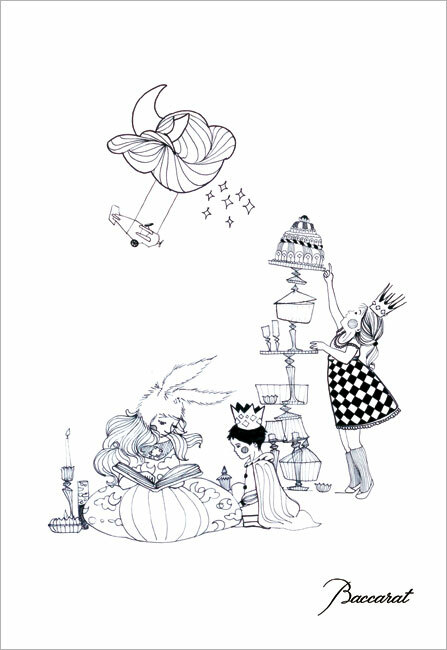 Moustache celebrates 160 years of the Bon Marché. To celebrate its 160 years, the Bon Marché Rive Gauche has the selected patterns, extracted from the collections of the house, that inspired the designers of various brands/houses when in partnership with the store. Each brand revisited the store’s visual heritage offering a cheery, modern take on the history of the house with exclusive designs. Among some other furniture and home ware design houses, Moustache has developed a limited edition of its famous collection of Vapeur lamps designed by Inga Sempé, exclusively on sale at the Bon Marché Rive Gauche. « Reach Ruin » by Daniel Arsham at the Fabric Workshop Museum of Philadelphia. Daniel Arsham, who is a part of the program of artists in residence at the museum, is presenting a sculptural and interactive intervention exploring the boundaries between an exhibition and a theatrical space alongside choreography designed by Jonah Bokaer. 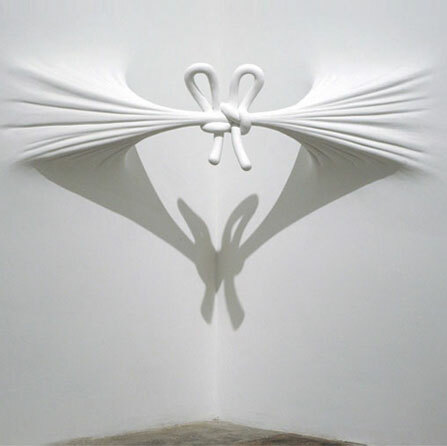 Arsham is known for transforming conventional architectural structures in an unconventional, fun way. The façades seem to swell in the wind. The numbers seem enveloped in the surface of a wall. 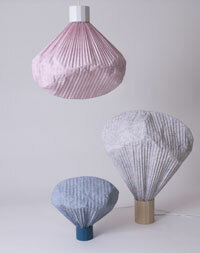 His characters are entangled in lightweight fabrics. A constant questioning of the real and the imaginary. 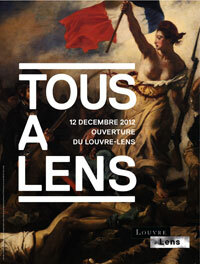 The Louvre-Lens opens its doors. Located in the heart of the mining basin certified by the World Heritage of Unesco, the Louvre-Lens, inaugurated on December 4, will open its doors to the public on December 12. It is the Japanese agency SANAA (Kazuyo Sejima and Ryue Nishizawa) associated with the Celia Imrey museographers, Tim Culbert and Adrien Gardere and the landscape architect Catherine Mosbach, who have created an architectural project with a decidedly contemporary, sleek and design tone. The museum, a large contemporary building made up of geometric shapes in harmony with the original site of the mining basin and its environment reveals a subtle combination of lines and glass and aluminium materials. The collections, organised in a temporary and transversal fashion, reunite pieces of art exhibited in Paris, classified by departments, schools and techniques. In addition, the reserves of the Louvre-Lens will be made available to the public in order for them to better understand the “secret life” of the works. At the epicentre of the museum, the gallery is offering a never before seen cultural journey, bringing together in one space a bloom of 250 works from the collections of the Louvre in Paris. de Tokyo. 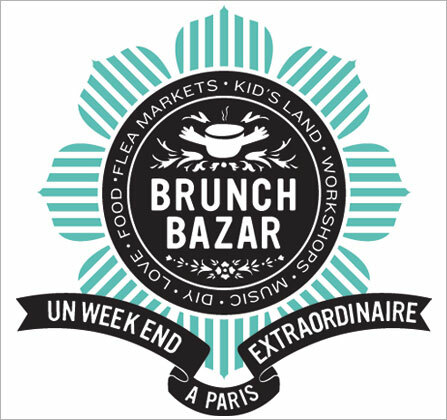 Created in 2010 by Nadège Winter, a former employee of Palais de Tokyo and Colette, BrunchBazar is an ephemeral urban rendezvous for all tribes. A space for discovery and celebration unique within its kind, the BrunchBazar is centred around six major activities: shopping with designer, vintage and design stalls, non-stop brunch and food corners, free activities for children, a playground with free access for adults, clubbing and Palais de Tokyo exhibitions. 15th and 16th December from 12pm to midnight. An enchanting Christmas Eve in Quebec. 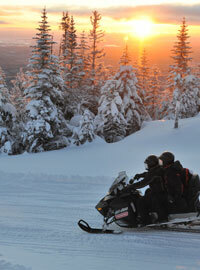 In Quebec, the holiday season is a sacred moment where powdery weekends and a cosy atmosphere are guaranteed. So why not celebrate it in a four-star boutique hostel, surrounded by eight wooden chalets overlooking the famous Saguenay Fjord? In this special place where silence is king, travellers can enjoy a beautiful walk by dogsled in the footsteps of the legends and stories of the Great North and crisscross trails, lakes and pristine plains whilst driving snowmobiles. For purists, it is also possible to walk on snowshoes and go ice fishing to authentically experience the traditions of the Canadian North. An unforgettable trip and a unique Christmas eve..
Beauty tips for Christma Eve at the other end of the world. To spend Christmas Eve in New York, Mexico, Barbados or even Seoul would be a dream come true, but one must be careful not to arrive looking worst for wear. 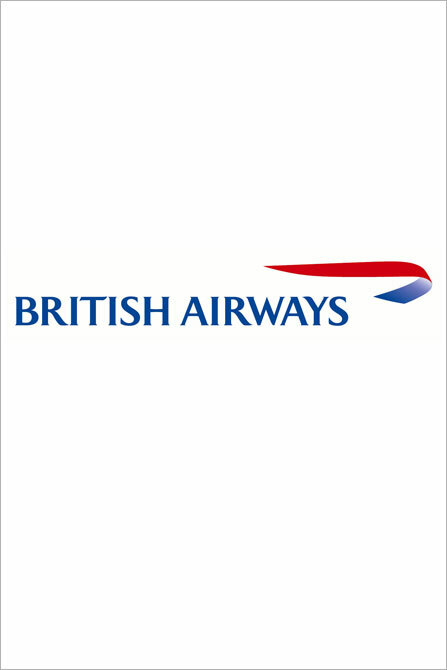 Rachelle Carter, a stewardess on British Airways, is giving away some of her beauty secrets to ensure that one looks rested and radiant right off the plane. A good base cream will help to set your makeup, especially if you prefer using a sleeping mask to avoid removing your makeup when you fall asleep. Then invest in a good foundation that gives a smooth appearance to the skin and his good staying power. And if napping for a few hours is necessary, allow your feet to benefit as well by spreading a layer of moisturizer over them before putting on a pair of thick socks for a mini improvised pedicure on-board. To avoid dehydration, take a lip balm to avoid chapped lips and drink a lot (at least two glasses of water per hour). If your hair tends to get greasy, put a dash of dry shampoo for a quick way to freshen it up. And if all else fails, a good lipstick, a pair of sunglasses and a pashmina serve as perfect camouflage on the way to the hotel! 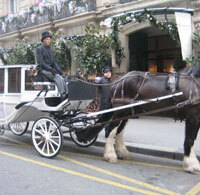 A carriage ride at Hôtel Lancaster. To come and admire the lights of Paris and stroll through the Christmas market on the Champs-Elysées, The Lancaster is providing a “Friends & Family” package this year. The second room is half price from the 1st to the 28th of December. And as the magic of Christmas would not be complete without a carriage ride on the Champs-Elysées, it is being offered complimentary to guests of the hotel and the restaurant on the 24th and 25th of December. Pride, the pretty horse, will be happy to walk with all ages, big or small. Skating under the glass of the Grand Palais. 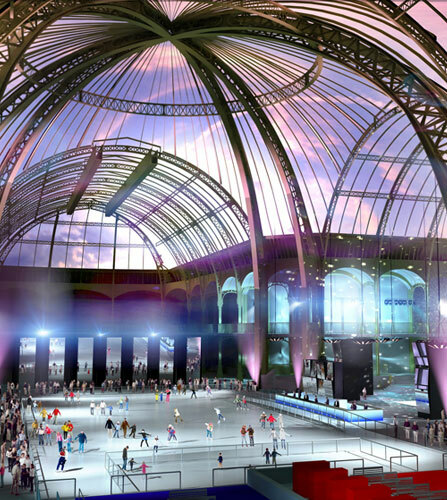 From the 13th of December to the 6th of January, the Grand Palais is being transformed into a skating rink – the largest in France! This project was born from an original idea by Olivier Maurey, founder of the Ludéric group, who immediately received the support of the RMN-Grand Palais President, Jean-Paul Cluzel. This magical event will enchant visitors who, for the first time, will be able to discover the legendary Grand Palais glass, shimmering in the light of the ice. Aside from the rink, the Café des Glaces will offer a gourmet menu continuously. On Thursdays, Fridays and Saturdays, the Grand Ice Palace will be open until 2am and visitors will be able to skate under a show of lights, pumped up by a DJ. Different themes are being dedicated to each evening: a 1900’s Austrian Christmas, Russian On Ice and the Space Odyssey. 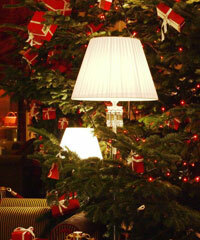 A Vintage Christmas at the Crillon. In typical style of the Crillon, 2012 will be like no other and the holiday spirit will be celebrated with all the usual pomp and characteristic intensity. In the coming weeks, the palace is decking its halls and inviting you to enjoy the last days of the current Crillon look, before the refurbishments begin next spring. To mark this occasion, exceptional, indulgent menus are being prepared with the best seasonal products, available to taste at the L’Obé et Les Ambassadeurs restaurant, and at the bar and winter garden. This is an opportunity to take in their sumptuous interiors, for one last time, made by the greatest artists and craftsmen of their time. The patio of the Westin Paris-Vendôme under the snow. 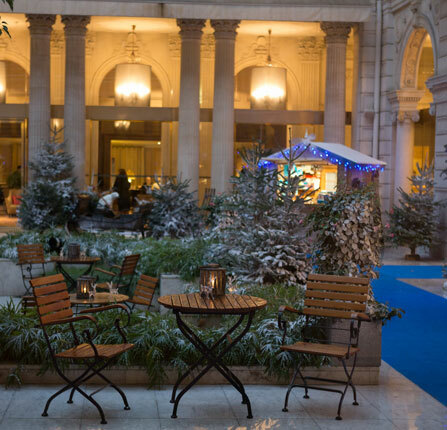 During the holiday season until January 5th, the patio of the Westin Paris-Vendôme is turning into a real Christmas village. Mulled wine, gingerbread, snowy fir trees, chalets and Slavic inspired wooden decoration – all these things are being brought together to recreate the fresh air of the peaks in the heart of Paris and share an exquisite moment. From the entrance of the hotel, it will only take you a few steps to find yourself submerged in the wintry atmosphere of a Slavic village around four cabins including one devoted to Petrossian products and another to Unicef. Take the opportunity to buy greeting cards, plush toys, and miscellaneous items that are on sale to benefit the association. 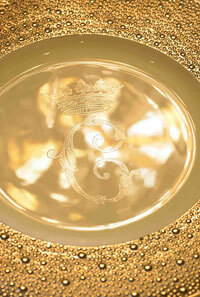 the prestigious crystal brand Baccarat to decorate its orangery in the winter garden with crystals and ice. As an ode to art and magical décor, a sumptuous Marie-Coquine chandelier and Torch lamps are being used to transform the orangery into a remarkable space. To kick-start the festivities, a huge tree over 4 meters high is being decorated with Baccarat crystal balls, dressing up the entrance hall, in the traditional colours of red and gold, alongside some stunning ice crystals. The Magnum Christmas tree by Chantal Thomass. To celebrate the end of the year, Chantal Thomass has designed a Christmas tree especially for Magnum. The High Priestess of luxury lingerie shares a common desire with the masters of ice cream making: to create a chic, sensual and gourmand universe for all to enjoy. She has designed a sleek tree whose shape subtly echoes that of the famous ice cream, which has become iconic over the years. 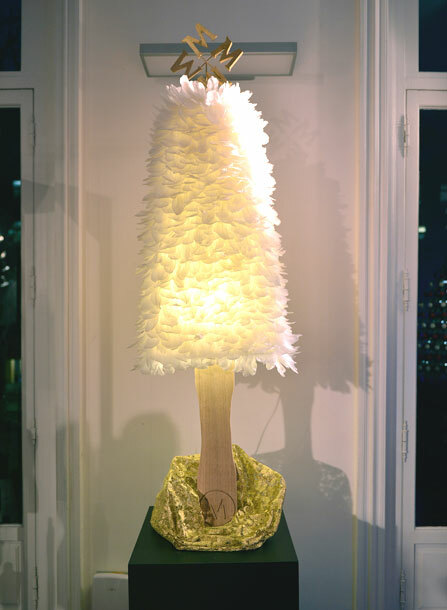 And so that the tree shines brightly, Chantal has designed lamp that she has covered in white plumes. She also created a Magnum star and placed a bed of lace under the tree, reminiscent of the gold wrapper that encapsulates that famous ice cream. 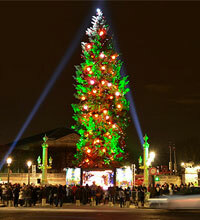 The largest Christmas tree in Europe is in Paris. At the end of November, the largest Christmas tree in Europe was erected at the Place de la Concorde, to the right of the famous Ferris wheel in Paris. It took two cranes and more than four hours to draw this majestic tree 35 meters high and no less than six days to complete the decoration by eight decorators who took shifts around the clock. At the foot of this exceptional tree, six Fathers Christmas’ will distribute toys to 2,000 underprivileged children on the 22nd of December. A winter cinema on the roof of Berkeley. Known to be one of the “places to be” London, the rooftop terrace of the The Berkeley hotel is being transformed into a winter outdoor cinema surrounded by trees. 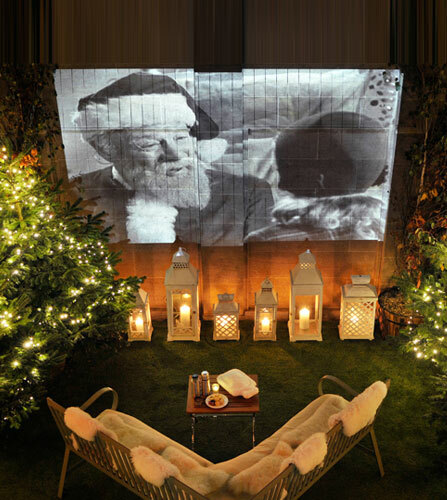 Wrapped in feather Moncler duvets with a hot water bottle on your feet, guests and Londoners can enjoy a classic Christmas film projected on a giant screen. The homemade hot chocolate and the famous “Mince Pies” of spiced dried fruit made at the Berkeley complement the festive atmosphere while heating lamps permanently repel even the coolest temperatures. Overlooking Knightsbridge and enjoying stunning views over Hyde Park, the cinema surrounded by fir trees only has four seats for very private sessions. 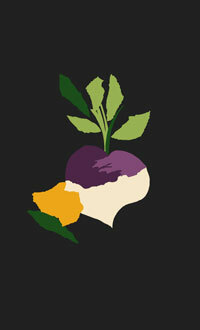 The screenings will take place until the 31st of January 2013. Fine Food 2 at Artcurial BPFT. On December 18, Artcurial BPFT is transforming its auction house auction into a luxury temporary grocery store, in time for an outstanding vacation under the hammer of François Tajan, bringing together the finest samples of gastronomy. The “Gastronomy – Fine Food 2” sale displays the talent of men and women through lots that will titillate the taste buds. This year, the great French chefs will not be left out: Alain Passard, Alain Ducasse, Michel Troisgros, Michel Guérard, Pascal Barbot, Michel and Sébastien Bras, as well as Pierre Hermé and René Redzepi, the chef of Noma in Copenhagen (voted best restaurant the world for the second consecutive year), have RSVP’d attending to offer the best of their knowledge and kitchens. 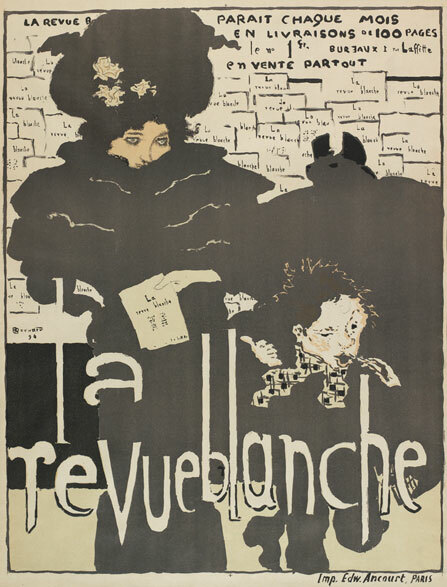 The vast majority of lots will be sold for the benefit of the French Red Cross. at Baccarat. Baccarat is presenting an enchanting Christmas through an exceptional piece of scenography inspired by the tale of Peau d’Ane. To tell the story of this magical world, the brilliance of Baccarat crystal is joining forces with the couture house Elie Saab to take us on a magical journey to the land of kings and queens. Conducive to dreams and imagination, each space presents a stage of the story, punctuated by the famous dresses in the colours of the Moon, Sky and Sun, designed by Perrault and illustrated by fashion designer Elie Saab. A sound scape punctuated by excerpts from the original film by Jacques Demy puts this wonderful journey to music. On the 8th and 9th of December, both young and old are invited to discover the house of Baccarat in this enchanting setting via numerous animations. A lucky draw will guests the opportunity to win rings from the new Médicis collection. 62 artists revisit the “Metal Side Table” for the association La Source. For over twenty years, the association La Source, created by painter and sculptor Gérard Garouste, has been helping children to develop their artistic creativity. For the ninth consecutive year, the association is hosting an auction. It is bringing together a prestigious list of 62 creators, artists and designers who have generously transformed the “Metal Side Table” by Ronan and Erwan Bouroullec, provided by Vitra. 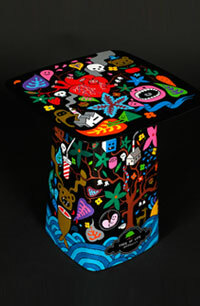 For this occasion, Aksel (artistic director and creator of all AK-LH collections) has unfurled his graphic universe on one of these tables, which he has painted entirely by hand, entitled “Tree of Life”. The works will be sold on December 17th at the Hôtel de’Industrie by M. Simon de Pury. 4 Place Saint-Germain-des-Prés – 75006 Paris. Exhibition of works on the 15th, 16th and 17th of December from 11am to 19:30. Sale onDecember 17th at 20h.